Thank you all for your amazing support and enthusiasm for "Lunch in Provence" Culinary Experiences! The "Art of the Tart"
Tarts, sweet or savory, are very popular in Provence. I like to share my favorite tart recipes with you. In June and July 2017 classes, it is Seasonal Berry Tart time! Please Note: Thursday, June 22, 2017, is a private SOLD OUT class. There is plenty of availability in classes, Thursday, June 15, 2017, or Sunday, June 25, 2017, 11am to 3pm, $120.00 per person. Minimum 8 people per class. Seasonal menu subject to change or substitution. From the little village of Cucuron in Provence, I share the marinated salmon rose recipe from my cooking class with Chef Eric Sapet at La Petite Maison de Cucuron. Menu: Marinated Olives over Goat Cheese, RivaRose Brut, Summer Sorrel Soup, Marinated Salmon Rose on Potato Galette w/ Wasabi Cream, Butter Lettuce w/ Truffle Oil Vinaigrette, Summer French String Beans, Domaine de Manion Wine, Seasonal Strawberry Tart, French Roast Coffee or Lemon Verbena Tea. Please Note: Saturday, July 8, 2017 is a private SOLD OUT class. There is plenty of availability in classes, Thursday, July 13, 2017, or Sunday, July 16, 2017, 11am to 3pm, $120.00 per person. Minimum 8 people per class. Seasonal menu subject to change or substitution. 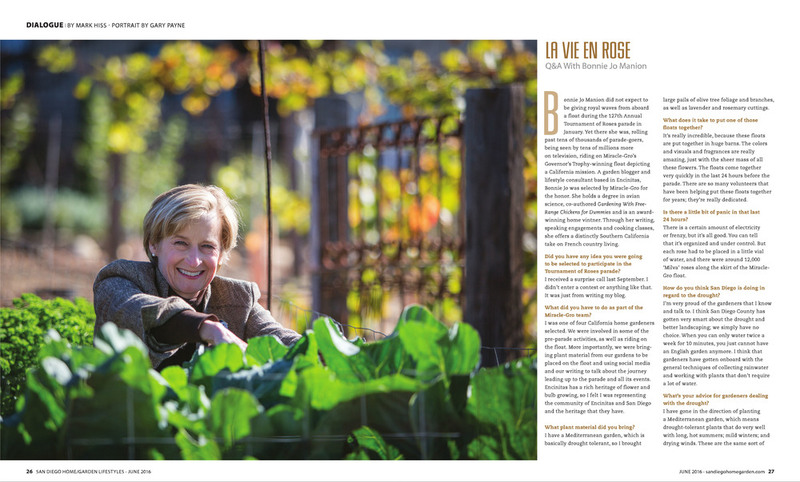 Menu: A summer seasonal menu created from Georgeanne Brennan's latest cookbook, La Vie Rustic, will be featured. Menu: Moules Gratinées, RivaRose Brut, Pistachio & Beet Salad w/ Goat Cheese, Fresh Bay Leaves Skewered with Eggplant and Choice of Beef, Lamb, or Seasonal Vegetables Grilled over Grapevines, Domaine de Manion Wine, Seasonal Berry & Pistachio Tart, French Roast Coffee, or Lemon Verbena Tea. In late April, Thailand is already near 90 degrees F, and 85% humidity, but that didn't surprise my husband, John and I. What surprised us, was how great the food was, friendly people, and amazing natural beauty of beaches, bays, and surrounding islands. I took a couple of Thai Cooking Classes, and ventured to their food markets--not for the faint of heart. Much different from our Farmers Markets. Loved the curries, seafood, and tropical fruit such as Dragon Fruit, Roseapple, and Phuket Pineapple. Could there be a future "A Taste of Thai" Cooking Class? I was pleasantly surprised by Hong Kong too, a beautiful intersection of East meets West. Hong Kong harbor is one of the most beautiful I have ever seen. The shopping is simply incredible, and I couldn't get enough Dim Sum! I definitely will be hosting "A Taste of Cajun/Creole Class" from the two very different cooking classes I took over on Algier Point, a 7 minute ferry ride from downtown New Orleans. I can't really say enough about New Orleans, I loved the food, music, architecture, and fun vibe. There is nothing like traveling afar, only to return to your "Home Sweet Home" and keep all of those fun memories close. Please join me for June and July "Lunch in Provence" cooking classes and culinary experiences!